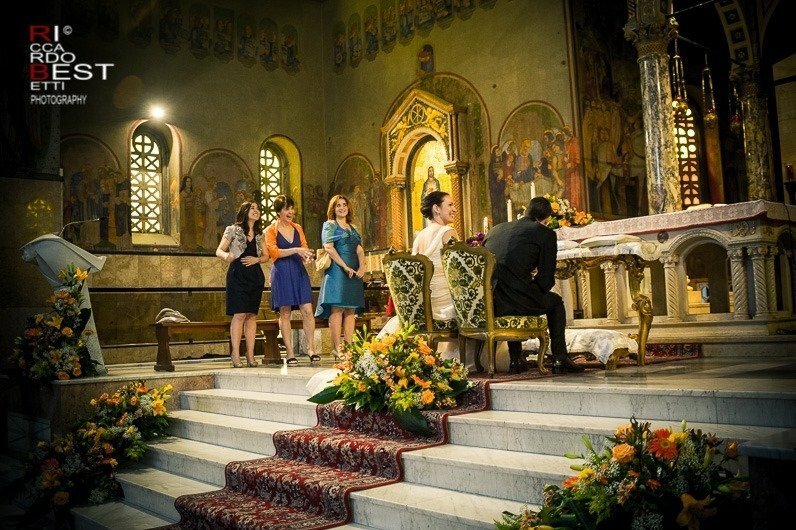 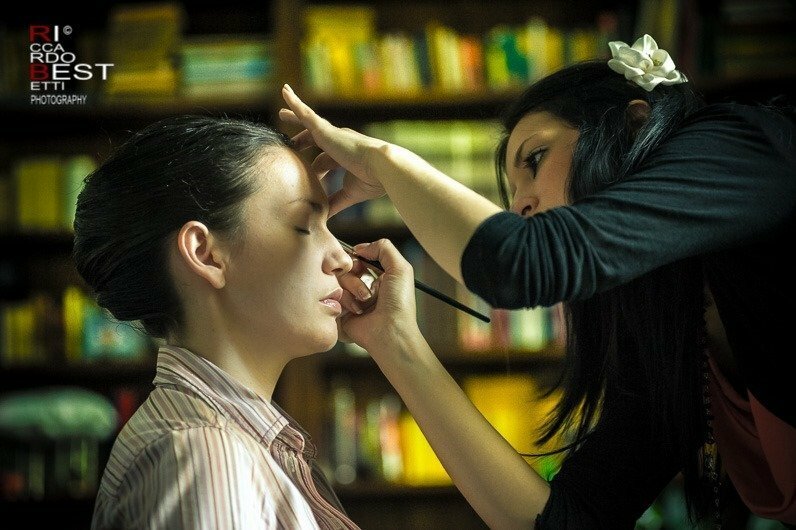 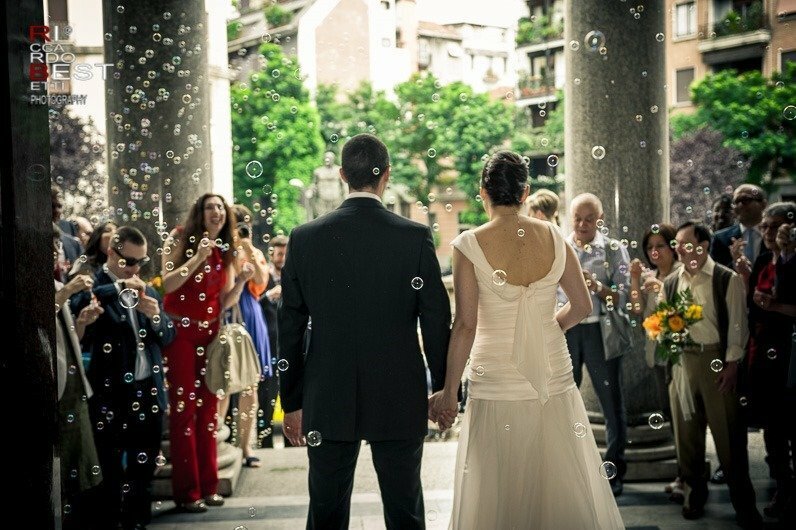 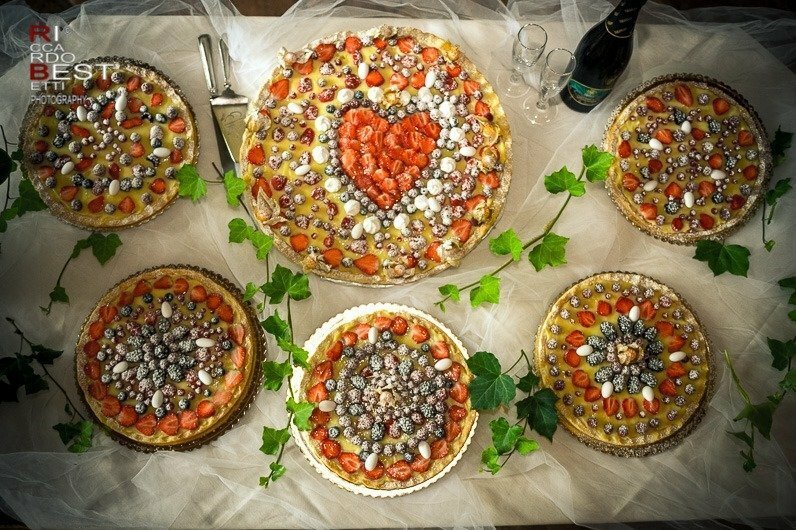 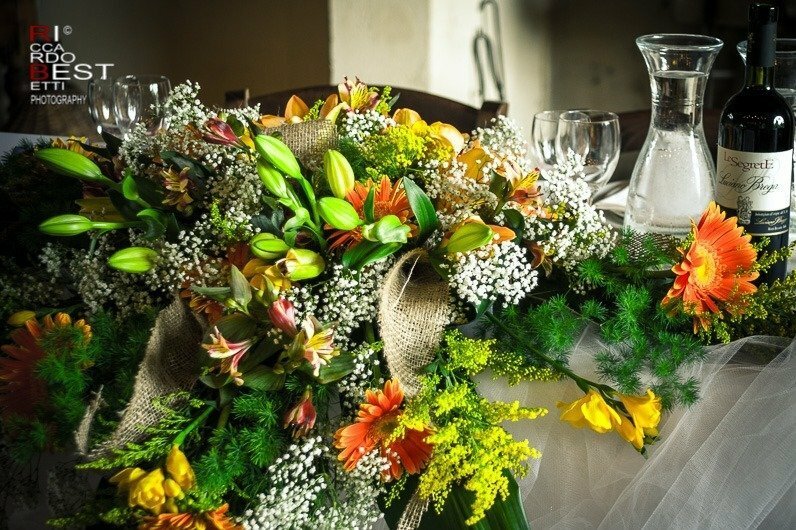 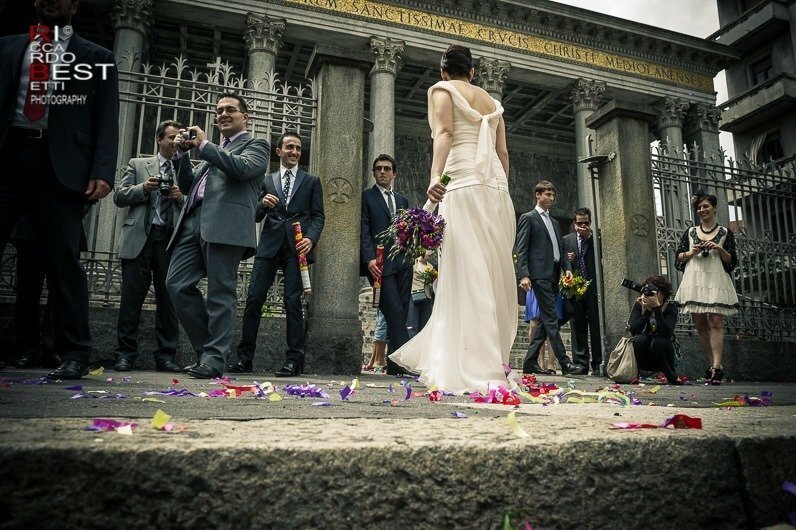 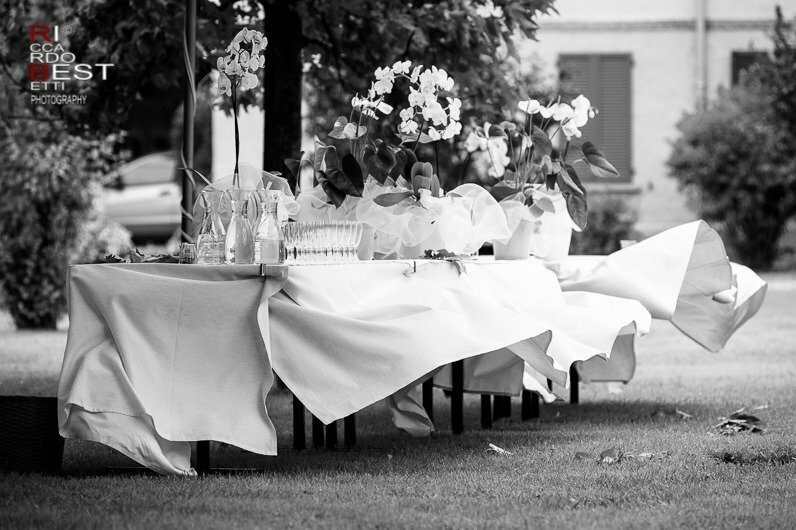 The summer sunny days are the ideal time for a traditional Italian wedding in country chic style. 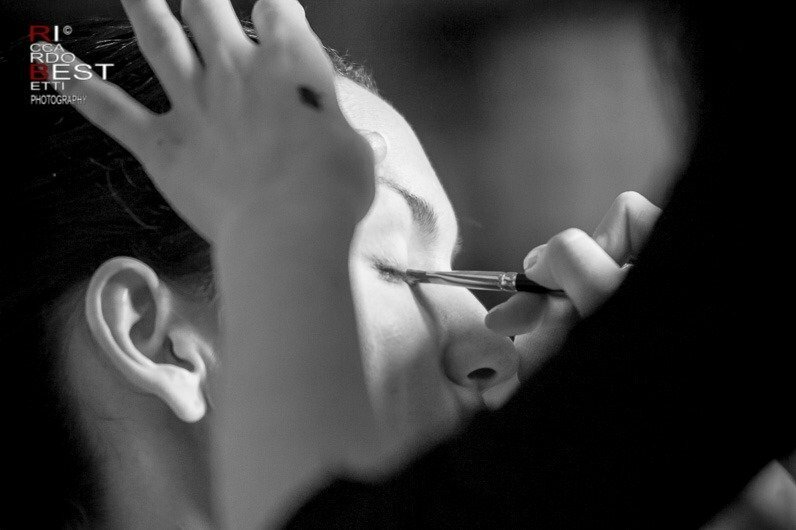 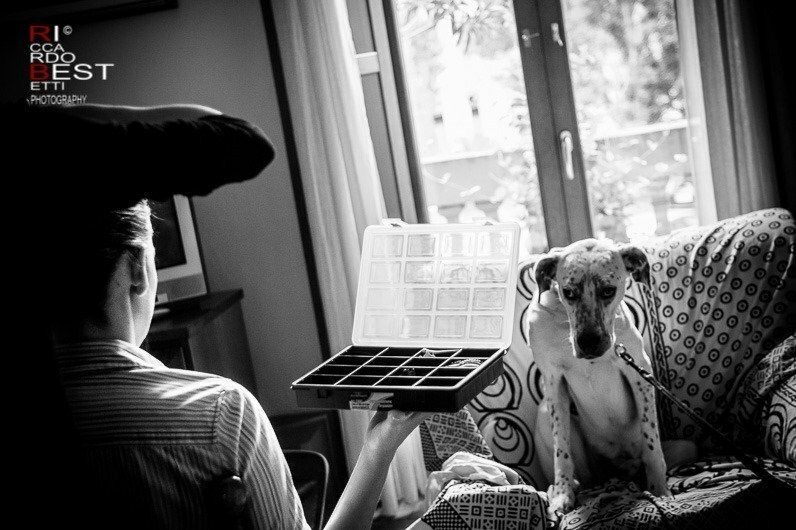 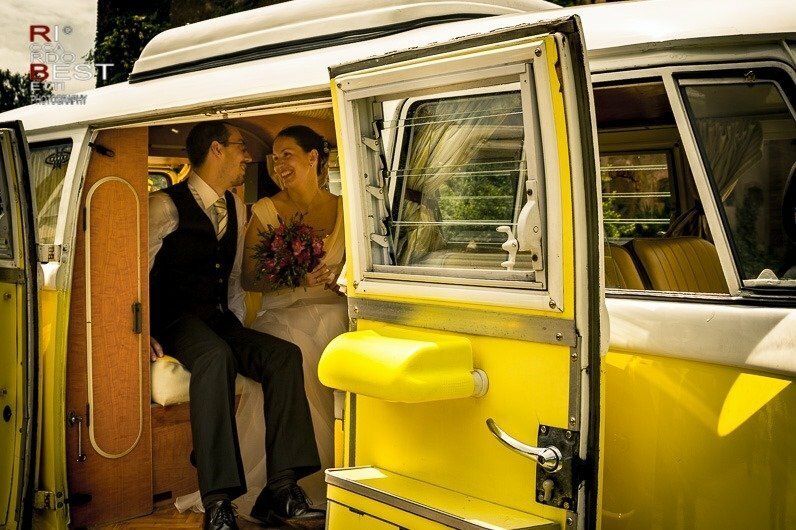 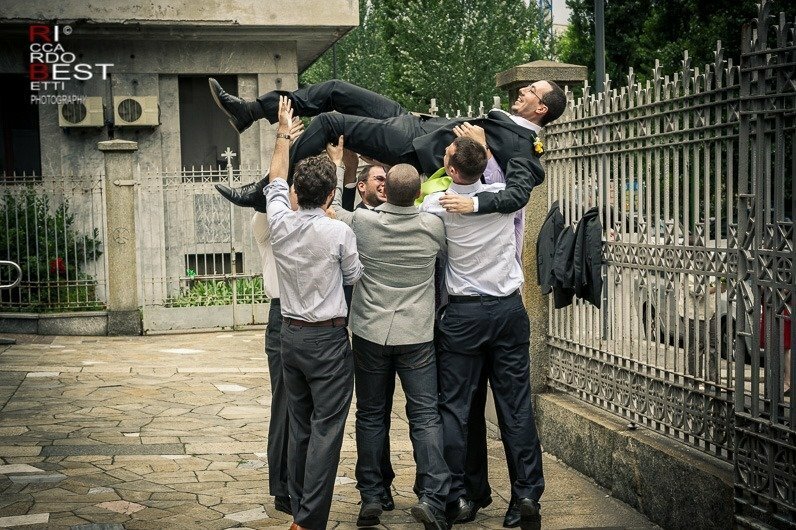 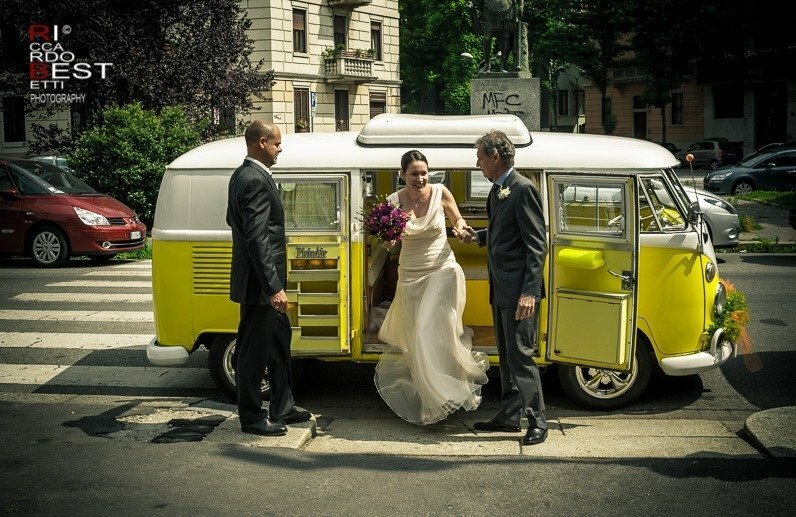 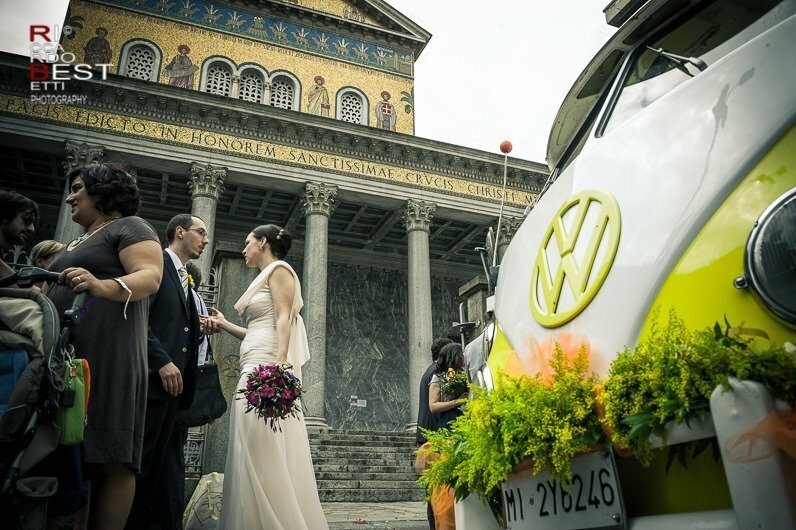 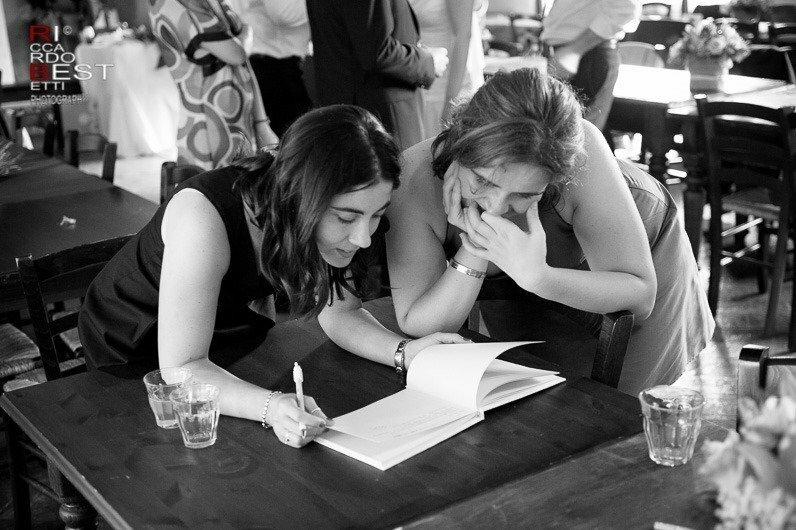 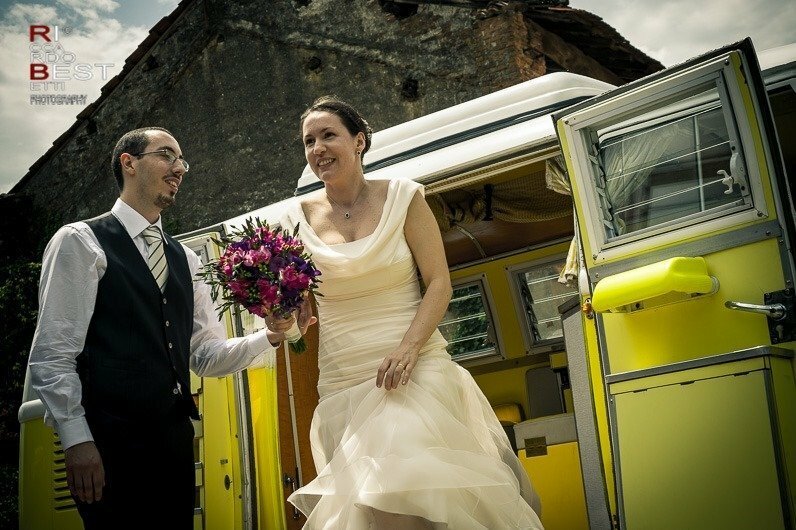 The bride surprised the guests coming on board a van Volkswagen Kombi. 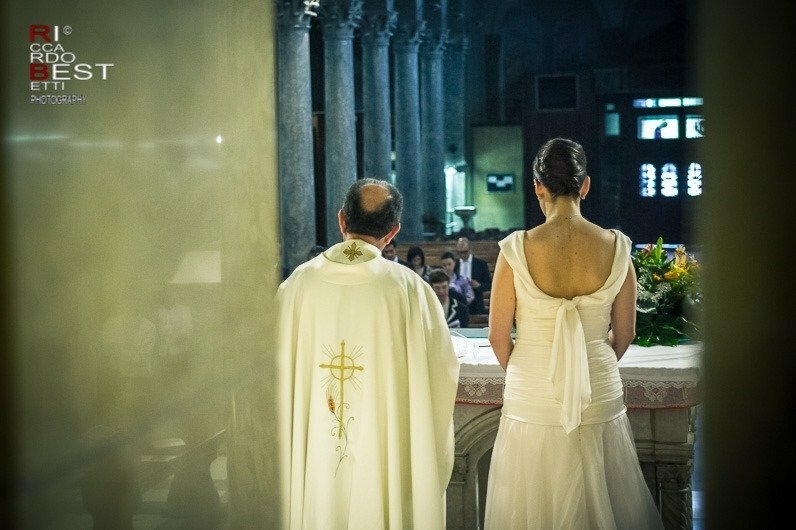 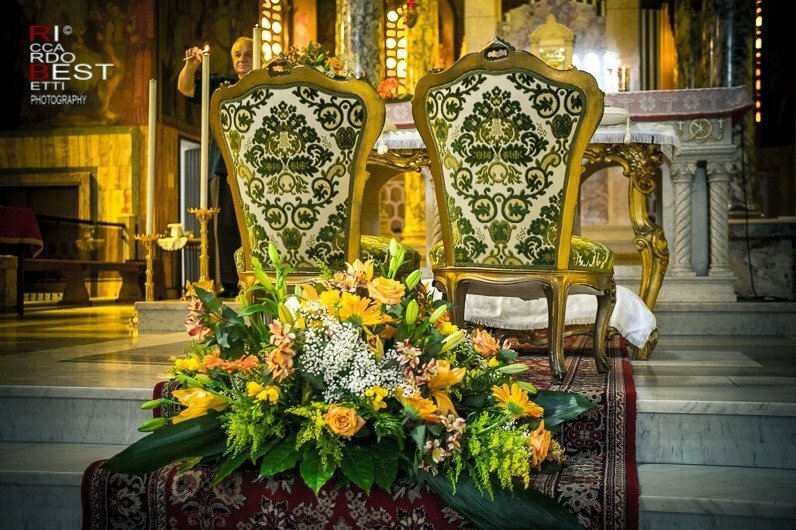 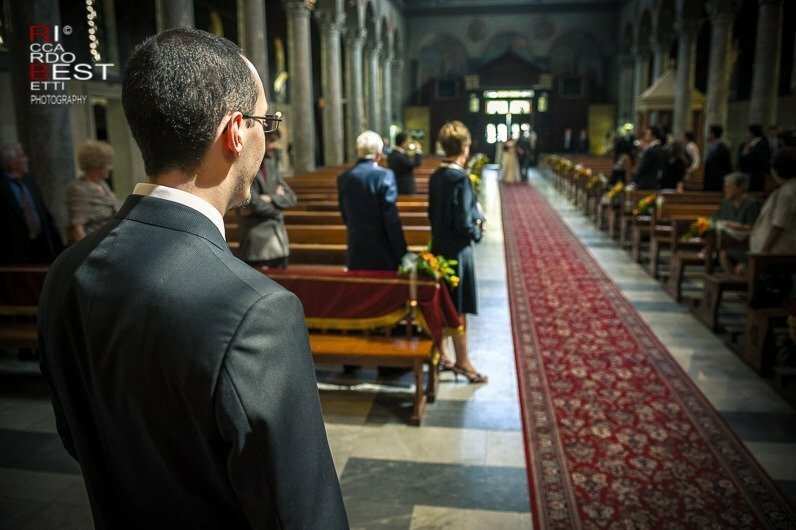 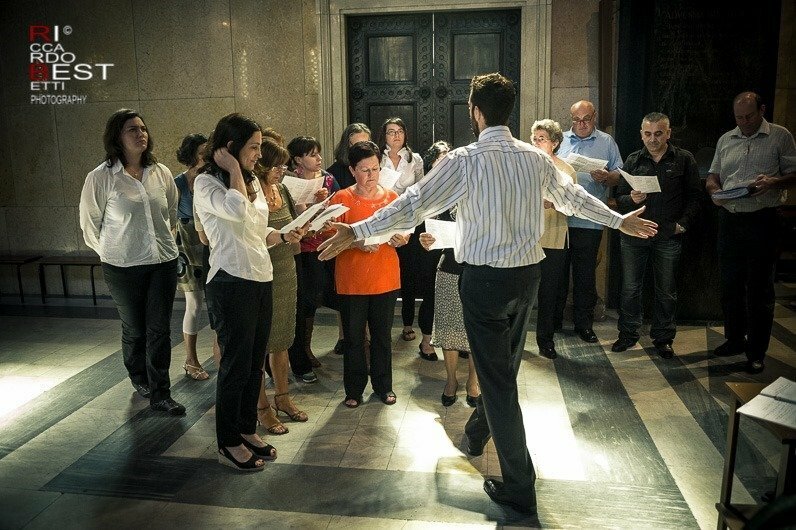 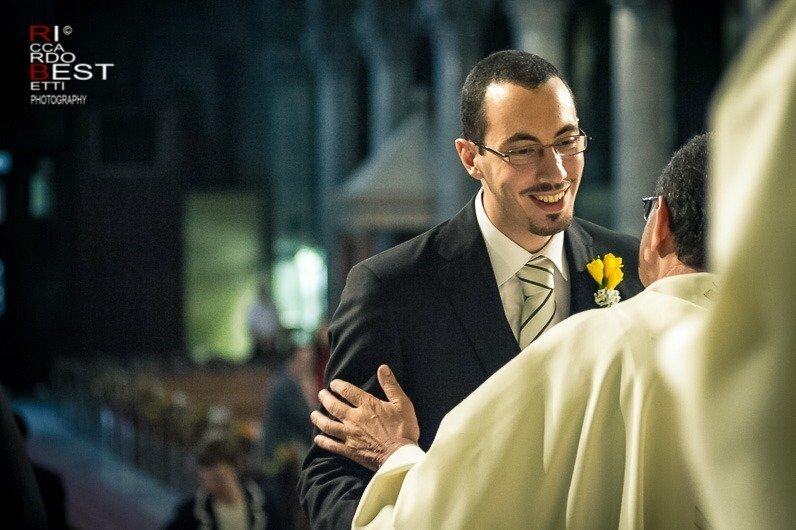 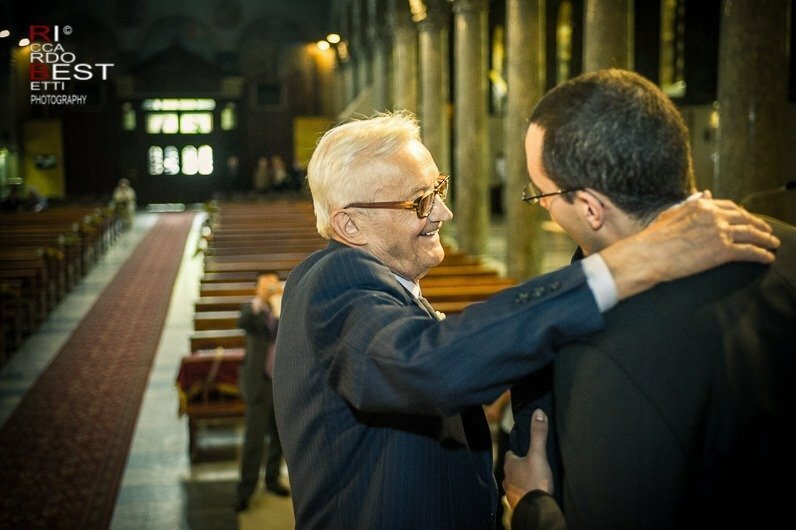 The Catholic ceremony was celebrated in the church of Santa Croce, inspired by the first Christian churches, in the archdiocese of Milan. 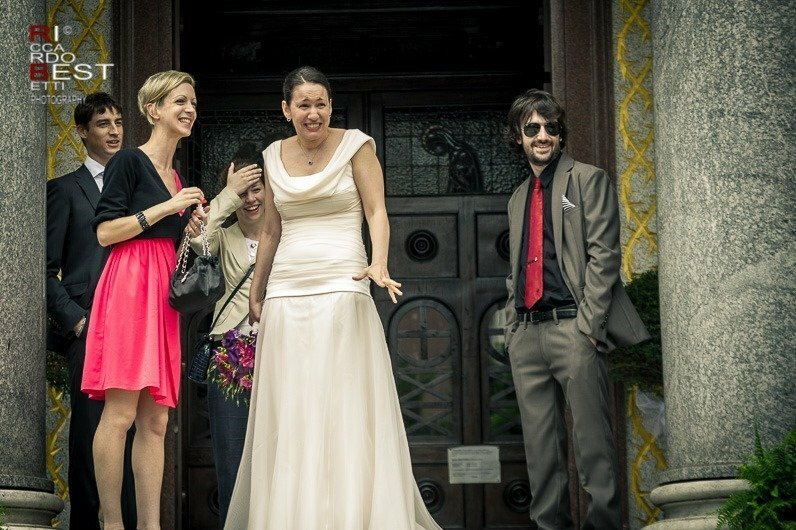 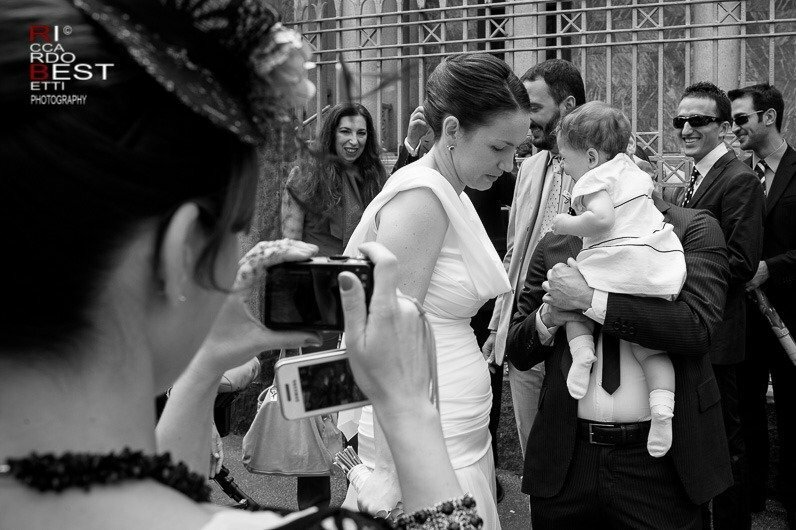 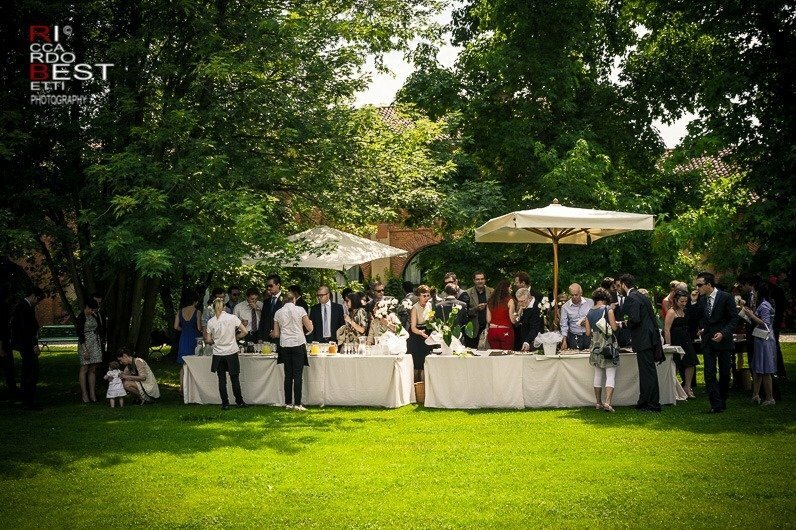 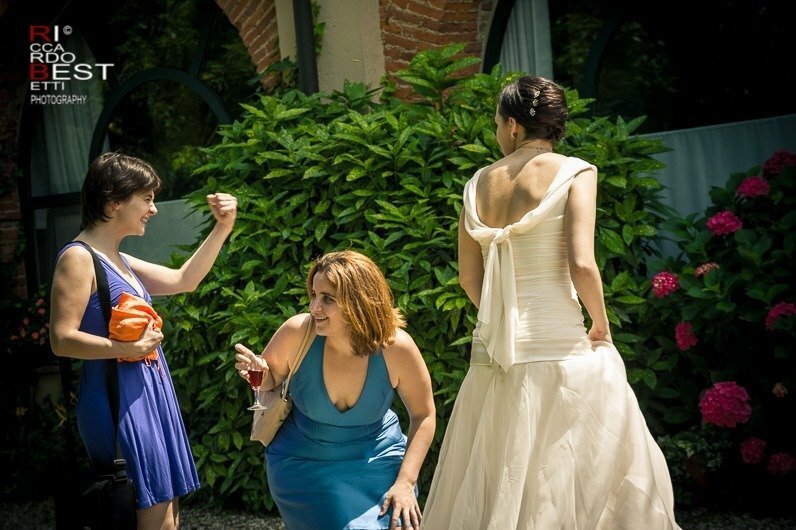 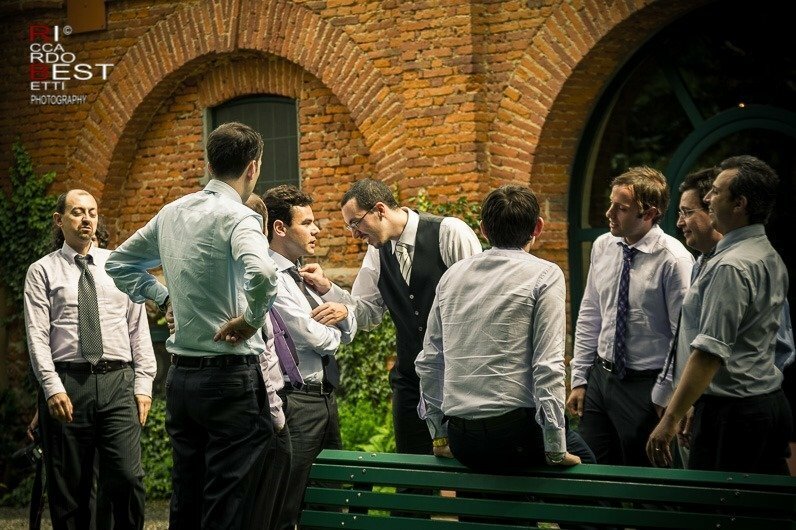 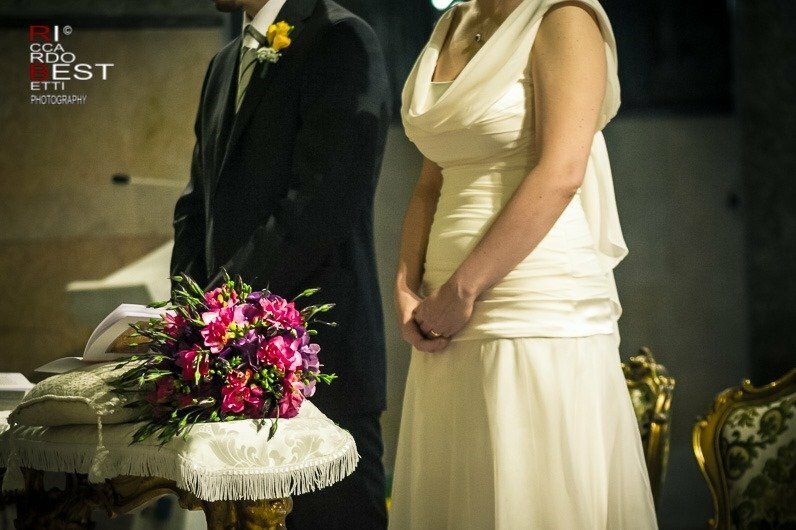 The cheerful wedding party was held at the Agriturismo Granai Certosa near the “Certosa di Pavia”, an ancient convent with the original structure. 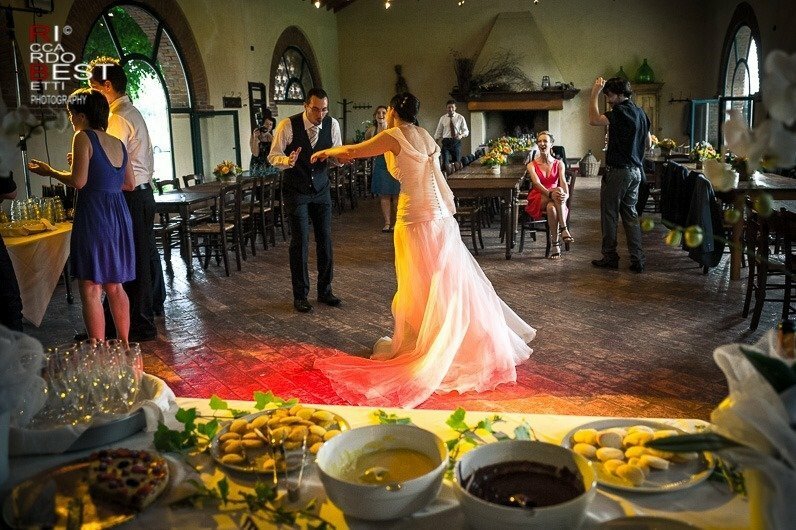 The “sala giochi” room, with the original terracotta floor and large fireplace, hosted lunch and dances. 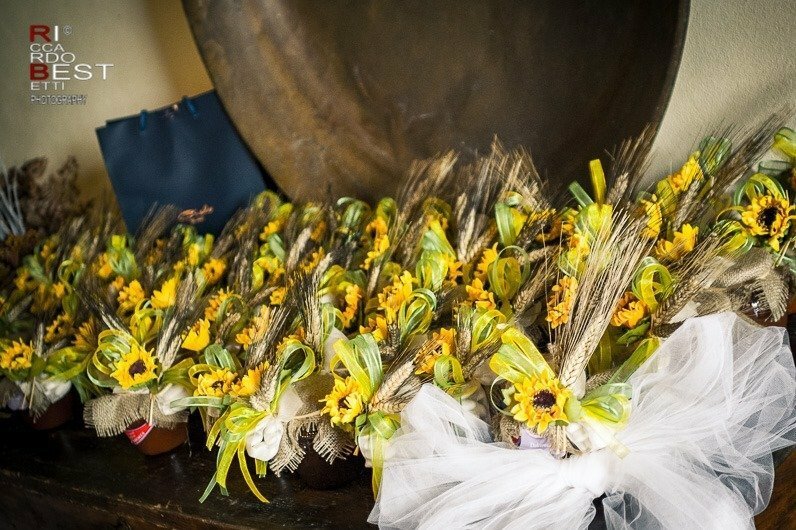 The mementos, made by jams made in the farm, left a sweet memory to the guests.